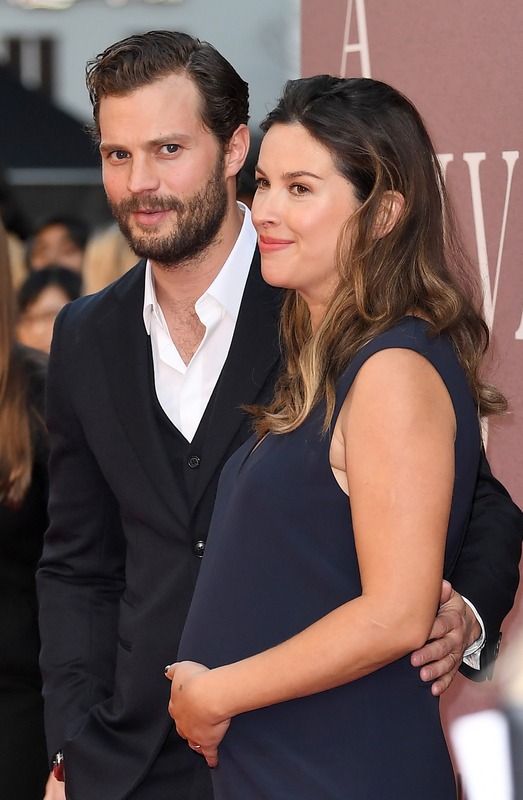 Jamie Dornan and wife Amelia Warner have revealed they welcomed their third child, in a sweet Mother’s Day post. The news that the Fifty Shades of Grey star was going to add a third child to his brood was reported by E! News back in October, but just a few weeks Amelia made a red carpet appearance with her blossoming baby bump. The pair are notoriously private about their personal lives, but the mum-of-three confirmed she has given birth to another little girl in a sweet Mother’s Day post. Fans of the couple were quick to send congratulatory messages, with many pointing out that Jamie is now outnumbered by four females in the household. Another said: ‘Millie that is so adorable 3 girls. Thank you for telling us Millie. But poor Jamie is so outnumbered now but he does have Leonard as backup lol’. When asked if he’d prefer a boy or a girl, Jamie had previously admitted he would a like a boy. He said on Jimmy Kimmel Live! : ‘Part of me feels like [I need] to put a cork in it after this. But then alternatively, I feel like we make really great kids. I may just—if my wife’s willing—do it until we can’t do it anymore.